The man had made claims of EVM rigging during 2014 elections on Monday. New Delhi: The controversy surrounding the claims made by a self-proclaimed Indian cyber expert, alleging Electronic Voting Machine (EVM) rigging in the 2014 Lok Sabha polls, escalated on Tuesday with the Election Commission filing a complaint against the former and asking the Delhi Police to lodge an FIR against him. Soon after, the firm responsible for the EVMs during the elections issued a statement that the man, Syed Shuja, was never in its employment. In its letter to police, the EC alleged that Shuja has violated section 505 (1) of the IPC pertaining to spreading rumours which create panic. The EC asked the police to “investigate promptly” the statement made by Shuja on Monday at an event in London that the EVMs can be tampered with and that the 2014 Lok Sabha elections were rigged. The action by the election panel came a day after it vehemently denied the allegations made by the cyber expert, saying that it firmly stood by “empirical facts about the foolproof nature” of EVMs. 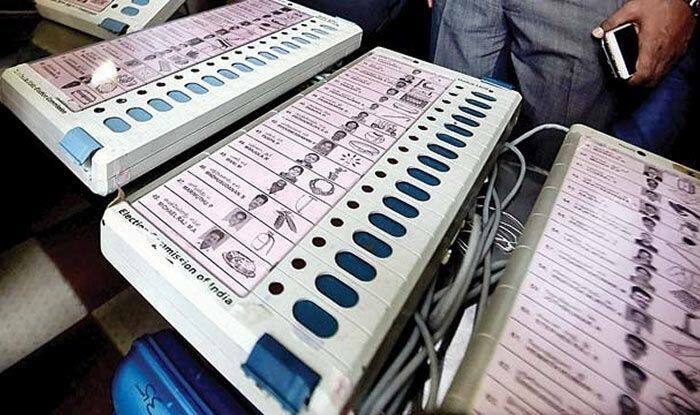 The commission reiterated that the EVMs used by it were manufactured by Bharat Electronics Limited (BEL) and Electronics Corporation of India Limited (ECIL) under “very strict” supervisory and security conditions. On its part, ECIL also negated Shuja’s claims and said he was not in its employment during 2009-2014, the period he claimed to be a part of the team that was responsible for EVMs during the 2014 elections. On Monday, Shuja, addressing a press conference in London via Skype, had alleged that EVMs were hacked during the 2014 Lok Sabha polls and claimed Munde was “killed” because he was aware of the EVM hacking. The BJP targeted the Congress over the allegations made by Shuja and termed the charges a “Congress-sponsored conspiracy” designed to “defame” Indian democracy and its Election Commission. Union Minister Ravi Shankar Prasad told reporters that the Indian Journalists’ Association, which had organised the conference, is headed by Ashish Ray who, he claimed, is a “committed Congressman” and has been singing paeans to Congress president Rahul Gandhi. Ray contributes to National Herald, a Congress mouthpiece, “campaigns” for the Congress on social media and has often attacked Prime Minister Narendra Modi, Prasad claimed, adding that he had also organised Rahul’s public event in London. The BJP leader also dismissed Sibal’s claim that he was present in his personal capacity, saying he was intelligent enough to know the implications of his being there. He claimed that Sibal went there by deliberate design. He said the invite for the event had claimed that the hacking of EVMs will be shown but the “gentleman” appeared in the US wearing a mask. Amid the BJP questioning Kapil Sibal’s presence at the press conference in London, the Congress leader attempted a face-saver saying he was invited to the event like all other political parties. Sibal also demanded a probe into the serious charges levelled by Shuja. ECIL said none of the names Shuja took was part of its team for 2014 elections. EC said it stood by the foolproof nature of the EVMs.